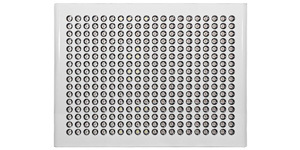 In this review of Kind LED K5 XL1000 grow light, we bring in the best out of this light. Its price shouldn’t scare you, It’s an unusually strong, long lasting and feature rich grow light that you won’t find at a cheap price. They’re designed for almost all stages of your plant’s growth and tough looks a bit costly but if you compare its multi usage you will notice that it’s really worth its price. Indoor gardening is not as easy as it seems. Without the proper tools, your gardening experience will quite literally be rather fruitless. Since plants are meant to thrive in their natural environments (outside), indoor gardening involves a lot of thoughtful care and manipulation of conditions to maximize its growth potential. When it comes to creating the perfect conditions for your plants to thrive, it makes perfect sense to invest in a growing light that will allow customization in its settings. Using the right tools can make the world of a difference on how you can achieve optimal growing results within your indoor garden. LED lights have become increasingly popular over the traditional High Pressure Sodium (HPS) or Metal Halide (MH). Kind LED has developed an LED grow light with a wide range of innovative features, setting it apart from all the other grow lights available on the market. Indoor plants are easily brought from their seedling state all the way through to being ready for harvest. 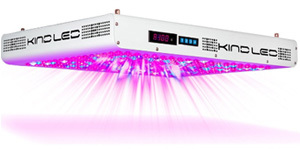 What Are The Features That Come With Kind LED K5 XL1000 Grow Light? The Kind K5 series XL1000 light makes indoor planting a lot easier with a remote to control all the light settings. Settings can also be adjusted directly on the device itself. Many studies have shown plants will absorb different colors of light at photosynthesis in different amounts – depending on its stage of growth. The fully adjustable spectral control allows you to adjust the spectrum for the different life stages of your plant. The spectral controls give you the ability to program a sunrise and sunset function – the color settings will mimic natural sunlight. According to its developers, this LED light is equivalent to 1000 watt high pressure sodium light. Compared to a 1000 watt HPS, this LED light runs on less electricity – 60% of the wattage of traditional HPS lighting to be exact. No bulb changes will be required, as well as being able to run much cooler than traditional lighting systems. Because it runs cooler, you won’t need inline fans to lower the temperature of the room. With the Kind K5 series XL1000, room temperature of the grow room is only expected to increase slightly by a few degrees. This light is easy to use. You just pick a spot, hang it up, and plug it in. All the LED lights are covered by a three-year warranty. How Does This Light Perform? Undoubtedly, the Kind LED grow light comes with many cool features that will help you achieve the optimal yield results. However, there are some less than favorable reviews from past customers. 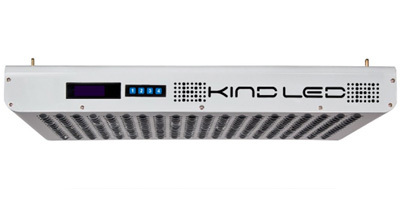 Read our Review of Kind K5 XL750 Grow Light.